New York City is an amazing destination for foodies from all over the world and no menu item is more pervasive here than the burger. New York restaurants have taken the humble American burger, dressed it up in a variety of different ways, and placed it as the centerpiece on some of the most popular menus in the city. 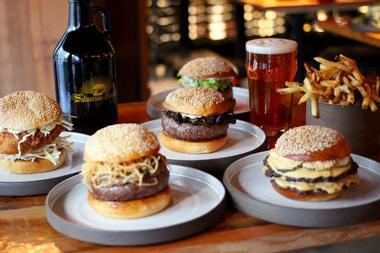 Salvation Burger boasts a menu of items which are all made in-house in their kitchen. From the buns to the condiments and cheese, everything they serve is made at the restaurant. The beef they use to make their patties comes from a farm called At Ease Acres in upstate New York and is freshly ground daily. 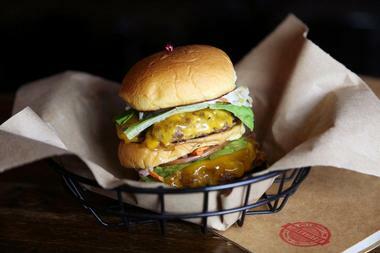 The menu features several burger options, including the Classic Burger with American cheese, special sauce, and pickles as well as the Salvation Burger, which is an 8-ounce patty finished off with seasonal ingredients. They serve several vegetarian options as well as hot dogs, snacks, pickles, and salads. Dessert options range from pies to their Boozy Milkshakes, which are adult milkshakes made from homemade ice cream and choice alcohol. 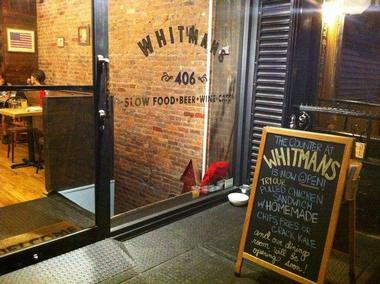 Whitmans in the East Village is a small, cozy burger joint focused on a seasonal menu. 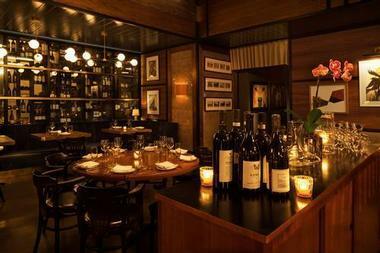 The restaurant is owned by native New Yorkers and is committed to using fresh, local ingredients. The burger that guarantees their presence on this list is their take on the Minneapolis favorite, the “Juicy Lucy”. This burger features a patty made from beef short rib with a scoop of pimento cheese stuffed inside. Several other burgers are featured on their menu, including the Bluicy, a blue cheese version of the Juicy Lucy, a PB&B Burger with peanut butter and bacon on it, and the Bacon, Egg and Cheese, which is a twist on the classic breakfast sandwich. They feature a popular cheesesteak as well as a veggie burger and a kale salad. Bareburger started out as a little restaurant in Queens but has turned into a popular chain of restaurants serving up burgers, salads, milkshakes, beers, and more. The chain has a strong commitment to running a sustainable restaurant serving organic food and the tables and fixtures are made from recycled and sustainable products. The to-go containers are biodegradable and each menu item is made from certified organic ingredients. 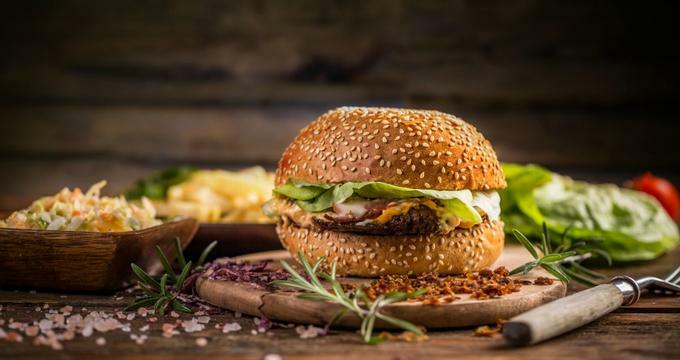 The menu features several specialty burgers as well as a “Be My Burger” option, which is a build-your-own burger with nearly limitless possible combinations. Side options include fries, onion rings, and a wide selection of pickles. Not your typical burger joint and not your typical burger, Quality Eats in Greenwich Village serves up delicious beef entrees, sides, and starters. The Patty Melt proves that you don’t need to be “typical” to make a great burger. This chopped steak sandwich is decidedly burger-esque and features alongside other steak entrees, delicious starters, and salads. The restaurant is run by Michael Stillman, son of a former TGI Friday’s pioneer. Evidence of his years of experience in the business is clear. The beef comes from antibiotic- and hormone-free cows that are raised locally. The restaurant has not much to speak of in the way of decor, however the food speaks for itself and it’s often hard to get a table. An attractive price point makes Quality Eats a strong competitor in New York City’s burger scene. 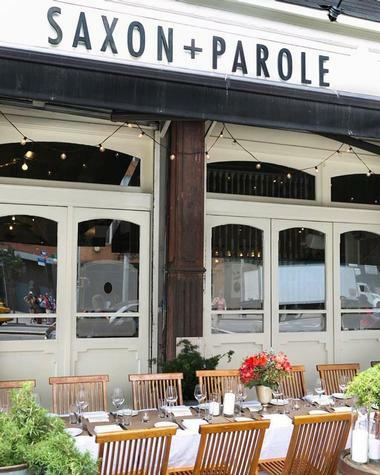 Saxon + Parole, an equestrian-themed bar named after two famous horses, is located in the small neighborhood of Noho. This surf-and-turf joint serves up a well-loved and delicious burger. The S+P Dry Aged Angus Burger is topped off with a fried egg, maple-cured bacon, and Havarti cheese as well as tomatoes, onions, and lettuce. The patty itself is made from dry-aged Angus and cooked to perfection. It is accompanied by fries and a spicy house ketchup. Alongside this monumental burger, Saxon + Parole also offer a full and varied menu of brunch, dinner items, desserts, and drinks. 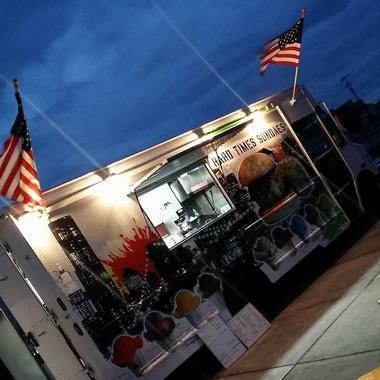 Hard Times Sundaes started as a hand-crafted food-truck and has since grown to have coveted spots at several high-end food courts, including the DeKalb Market Hall and UrbanSpace Vanderbilt near Grand Central. Hard Times Sundaes’ burgers feature your choice of a single, double or triple stack of 4-ounce patties made from plain old ground chuck. The burgers are topped with American cheese and classic burger toppings and served on a white bun. They are served with a side of fast-food French fries. Hard Times Sundaes also offers deep-fried Brooklyn-style hot dogs, chili, and homemade soup. A meat-centered restaurant open only for dinner, the Bowery Meat Company serves up a mean cheeseburger. 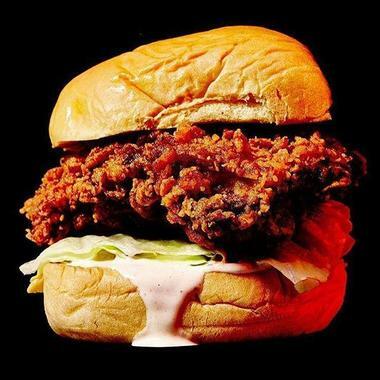 The burger often gets rated the best burger in New York and is featured alongside other meaty entrees. The beef is dry aged, served on a brioche bun from the Royal Crown Bakery, and topped with griddled onions, raclette cheese, and a tomato aioli. 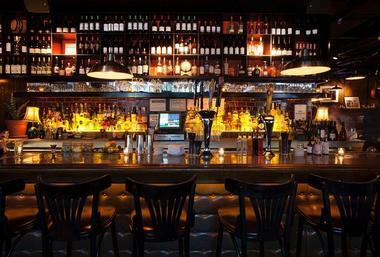 The Happiest Hour is a cocktail bar and restaurant that describes itself as “whimsical”. The Happiest Burger is stacked high with two thin patties cooked to medium, a huge mound of American cheese, shredded iceberg lettuce, mustard, and a special sauce. Everything is piled inside a toasted buttered potato roll. The beef comes from well-known local butcher Pat LaFrieda. The potato roll is decidedly New York, but the burger itself takes a great deal of inspiration from the West Coast sensation – In-N-Out Burger. The mixing of East and West makes for a must-try burger. Be sure to pair your burger with one of their signature, creatively-named cocktails such as the Pineapple Express, the Belle of the Ball, or What the Doctor Ordered. 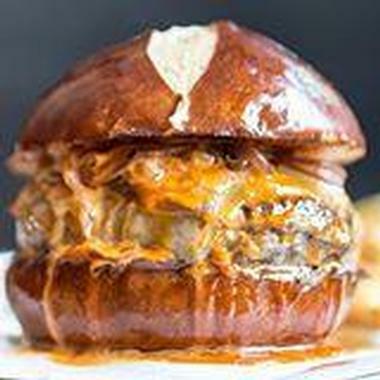 The Long Island Bar is well-known for its fantastic cocktails, but the burger has garnered some recent attention as well. The dry-aged beef patties are about half an inch and chargrilled to perfection. They are then topped with pickles, cheese, and fancy sauce and served with a side of fries. The restaurant offers two choices of burger, the L.I. Burger is stacked 2-patties high and the Ladies’ Burger is a single patty version. 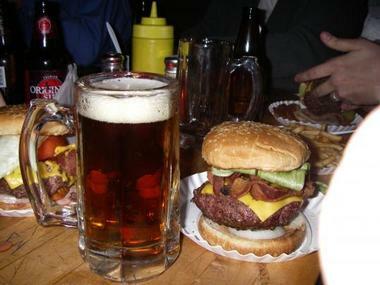 Visitors would be missing out if they didn’t wash down their burger with one of the cocktails that made the Long Island Bar famous. 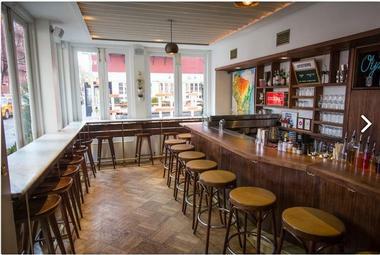 Wilma Jean is a restaurant in Brooklyn which is famous for its Southern-style chicken. While it is not necessarily a Southern specialty, the burger at Wilma Jean’s should not be overlooked. They offer a double or single patty, perfectly cooked on a sesame-seed roll and topped with lettuce and tangy sauce. You can choose to put American cheese on it, but you would certainly be missing out if you didn’t choose the pimento cheese instead. Pimento cheese tastes fantastic with a burger and the combination will have you coming back for more. The industrially styled restaurant, like the food, is not overstated, with simple decorations consisting of some old photos and Johnny Cash albums. Wilma Jean continuously shows visitors that a Southern restaurant can offer a memorable burger. 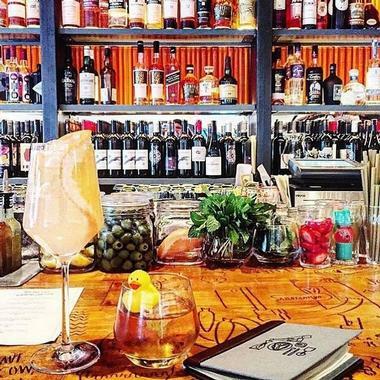 Located in the West Village, Bar Sardine is well known for its drinks and small bites. The menu at Bar Sardine consists mostly appetizers and snacks, such as cod fritters, with a few entree items. The Fedora Burger is loaded with cheddar cheese and topped with crispy potatoes, cucumbers, and their special barbecue mayo. Fries come separate and are served with a maple-mustard aioli. Several other side options are available as well. 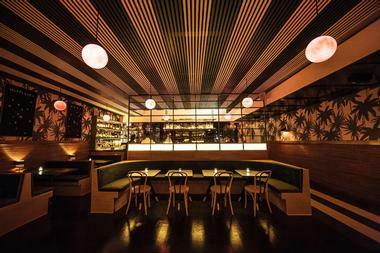 The menu is mostly snacks and small plates such as lamb meatballs, and deviled eggs. The Fedora Burger is available on the brunch, late-night, and all-day menus at Bar Sardine, so enjoy it any time of day. 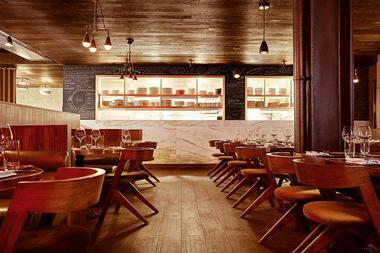 Burger & Barrel is a Soho restaurant serving up pub food and drinks. The Truffle Burger, the highlight of the menu, has shavings of truffles on top of a perfectly cooked patty. The beef is sourced from the renowned LaFrieda and the truffle adds a musky, earthy flavor. The Robiola cheese helps to cut the richness of the other ingredients. Of course the other burgers on the menu are superb as well, The Classic is their take on the traditional American cheeseburger. The Bash Burger features caramelized onions, bacon jam, pickles, and cheese. The B & B menu features some fantastic starters, including bison sliders, crab fritters, and tuna tartare. In addition to burgers, the lunch and dinner menus have a wide range of other entrees. Emily is famous for pizza and makes a fantastic pie. However, they have also emerged on the burger scene with a special burger, the Emmy Burger. The restaurant only makes a limited number of Emmy Burgers each night, but has unlimited burgers on Sunday during lunch service. The Emmy Burger is different from any other burger in New York. Boiler Maker is a bit of a newcomer on the New York burger scene, but they are quickly making a name for themselves. All the burgers at Boiler Maker are topped with Jeepney’s Atchara, which is a selection of pickled vegetables, as well as a signature fig aioli sauce, lettuce, tomato, and onion. The burger options include a single or double beef patty as well as a homemade veggie burger. The fries are a great option for a side dish and come with several sauces for dipping, including a truffle mayo and the signature fig aioli. The taste of the pickled vegetables mixing with the sauce and the perfectly cooked beef patty will have you coming back again and again. 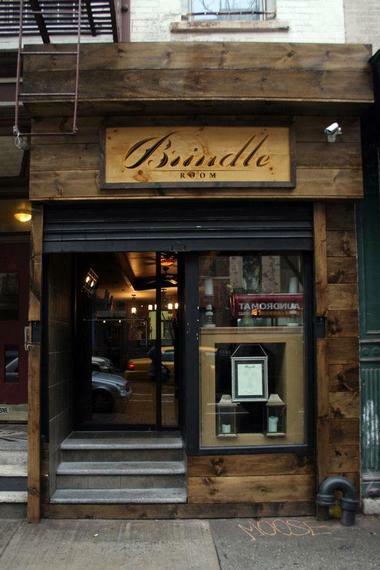 The burger at Brindle Room in the East Village is made from the dry-aged beef trimmings from their partner’s steakhouse in New Jersey. This decidedly steak-like burger is served with cheese, a seeded bun, and huge pile of caramelized onions. Cheese options are cheddar, Gruyere, and blue cheese, but the flavor of the burger is so much like that of a steak that many people choose to forego the cheese altogether. The burger is served with thick cut, skin-on potatoes fried to a crispy golden brown. However, visitors who wish to try the burger should note that it’s only served at brunch. Shake Shack is a popular burger chain in New York that has its origins as a hot dog cart in Madison Square Park. The burgers, fries, and frozen custard from Shake Shack have become a sort of New York legend. In fact, the very style of the burger, griddle-cooked patties with American cheese served on a potato bun, has come to define the NYC-style burger. Shake Shack has become so iconic that they even sell their own line of apparel and gear. 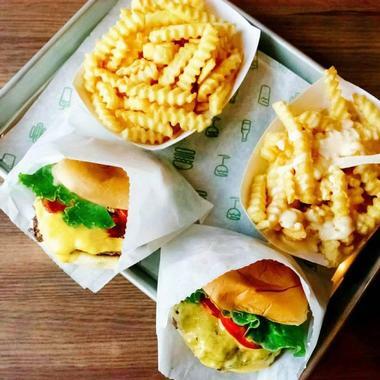 Shake Shack now offers more than 10 locations throughout New York City, so there’s likely to be one nearby any time your craving hits. Upland was named after the California town where chef Justin Smillie was raised and the restaurant is California through and through, but in a polished New York setting. The restaurant and menu are rustic and the attention to detail is spot on. Upland’s burger has gained some attention as it was eaten by President Obama when he visited in 2015. The burger is an interpretation of the California-style fast food cheeseburger. The grass-fed beef patties are stacked two high and topped with a generous amount of American cheese, shredded lettuce, cilantro, tomato, and Peppadew peppers. It all comes together, making it easy to see why it was a choice good enough for even the President. Upland has many locations in the city. 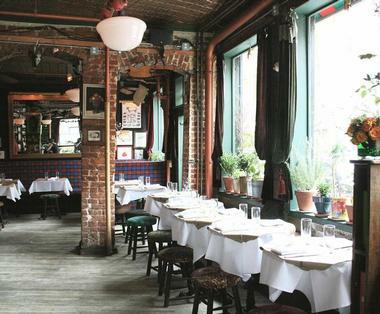 The Spotted Pig is a restaurant in the West Village which serves up British and Italian cuisine and uses local and seasonal ingredients whenever possible. This unique New York restaurant claims to have started the gastropub movement and is always busy, although they don’t take reservations. 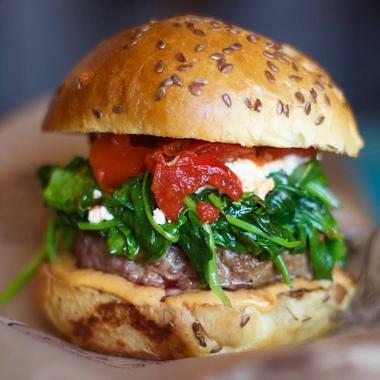 The burger that lands them on this list is the “Chargrilled Burger with Roquefort Cheese”. Billed as one of the most famous burgers in the world, the restaurant serves more than 200 of them a night. A big pile of fresh, shoestring fries are served alongside. This burger is proof that simple can still mean delicious. Corner Bistro claims to be the last bohemian bar in West Greenwich Village and is a staple in this neighborhood, having served burgers and drinks here for more than 50 years. This restaurant serves one of the most popular and most venerated burgers in the city. It is also one of the only places in the West Village that serves good, affordable food late on a weekend. The burger is quite large with a 6-7 ounce patty broiled to perfection and then topped with American cheese, crispy bacon, tomato, iceberg lettuce, pickles, and onions on a sesame seed bun. Try a burger at the Corner Bistro and you will experience being transported back to the way things used to be in New York. Minetta Tavern has been a staple in Greenwich Village since it opened in 1937. People come from all over to try their legendary Black Label Burger. This prize burger is made from dry-aged beef and topped only with caramelized onions. It is served with a side of French fries. The beef comes from famous butcher Pat LaFreida and is a mix of four different beef cuts: short rib, skirt, brisket, and ribeye. 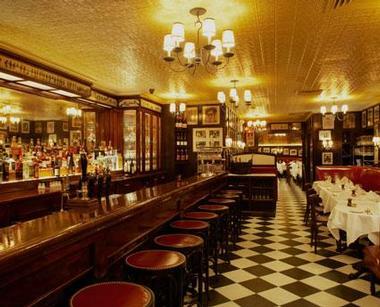 In addition to the sought-after burger, the Minetta Tavern serves a wide selection of hors d’oeuvres, entrees, wines, and cocktails to please any palate. 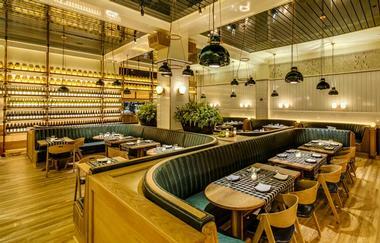 Bedford & Co. is a restaurant in Midtown East which serves seasonal American food. Chef John DeLucie develops regional dishes based on his travels across the world. Many of the dishes are prepared over a simple wood-burning grill and use ingredients which are sourced from local markets and butchers. The Bedford Burger tops the entree list and is a favorite among New Yorkers. The burger at Bedford & Co is wood grilled and topped with farmhouse cheddar cheese and a thick slice of pork belly. The bun is a Martin’s potato roll and is served with fries and pickles that are made in-house. 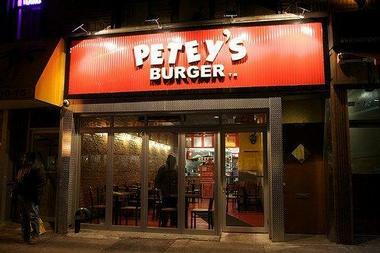 Petey’s Burger in Queens focuses on California-style burgers. They offer a single, double, and triple cheeseburger, each of which is topped with cheese, lettuce, tomato, onion, and special sauce on a toasted bun. They keep things simple with these traditional burger options and toppings. The burger is served with classic shoestring French fries. The burger is 100% Black Angus beef which is hormone and antibiotic free. The appeal of Petey’s is the quick, fast-food-like service and low cost. The restaurant is no-frills and decorated in plain, primary colors and steel. The menu doesn’t offer much more than burgers, fries, and milkshakes. Petey’s is another example of how dependable simplicity can certainly gain a following. 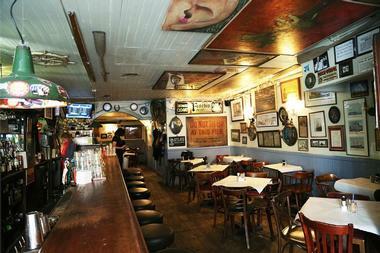 The Ear Inn in Soho claims to be the oldest bar continuously serving drinks in New York City. Their signature Pat LaFrieda burger is an 8-ounce patty made of grade A, 82% lean meat, cooked on a flat top. The sandwich is presented open faced and served with home fries and salad. The fries aren’t deep fried. In fact, The Ear Inn doesn’t even have a deep-fryer, so their fries are oven baked. The burger is cooked with loads of butter and cooking on the flat top allows the burger to soak up all the butter and meat juices, so it is incredibly juicy.